This extra-curricular school offers Dutch culture and language classes for Dutch-speaking children aged 3 to 18 who have at least one parent of Dutch or Belgian origin. Independent, non-profit, co-educational school offering education to students of all nationalities from pre-kindergarten level through to grade 12. US curriculum, international baccalaureate. Co-educational day school encompassing grades pre-kindergarten through 13 and offering both the North American High School Diploma as well as the International Baccalaureate Diploma. International school offering education from pre-school to secondary level and combining the Maria International and traditional methods of teaching. French-language school offering education from pre-kindergarten to secondary school level. International school for expatriates and Mozambicans offering education from pre-school level to year 13. British national curriculum. German school offering kindergarten, primary and secondary education, German curriculum. Website in German only. Founded in 1966, this school offers kindergarten, primary and secondary education to grade nine, German/Swiss curriculum. Founded in 1992, Jaffery is the educational arm of the Shia Ithnaasheri Muslim community of Arusha. It caters to 750 children from nursery to high school level. Co-educational day and boarding school offering pre-school, primary and secondary education through to A-level, British curriculum. 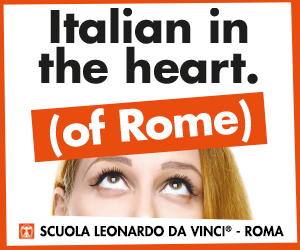 Italian school offering kindergarten, primary and secondary education, Italian curriculum. Iternational co-educational day and boarding school for children aged 3 to 19 on campuses in Moshi and Arusha, International Baccalaureate. Christian day school offering kindergarten, primary and secondary education through to A-level, British curriculum. Nursery and primary school located in one of the main expat residential areas of Accra, British National Curriculum. International co-educational day and boarding school for children aged 3 to 19, British national curriculum. This is also the base for the Greek orthodox community in Arusha.